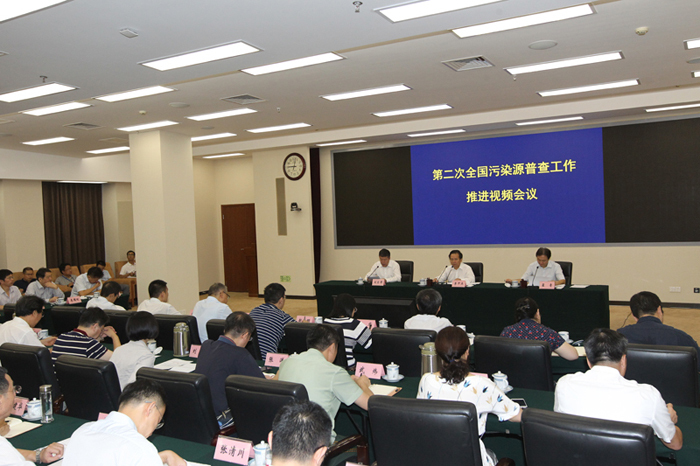 On Aug. 24, the work promotion videoconference of the second China Pollution Source Census was held. 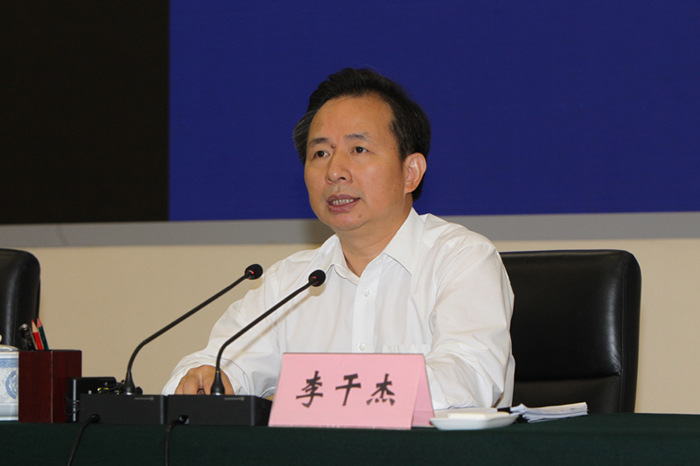 Li Ganjie, Deputy Leader of the State Council Leading Group for the second China Pollution Source Census and Minister of Ecology and Environment presented at the videoconference and delivered remarks. He stressed the importance to raise the political stance, and with a view to putting up a good fight against pollution, advancing the ecological progress, and building a beautiful China, be thorough and meticulous in the door-to-door interviews, and carry out the census by a high yardstick and with a high quality, so as to provide technical support for the correct estimation of the ecological and environmental situations, the enhanced pollution source regulation, the ecological and environmental improvements, the control of the environmental risks, and the decision-making for the environment and development. The second pollution source census is a major move taken to gain a full picture of the ecological and environmental conditions for building a beautiful China, in accordance with the Regulations on China Pollution Source Census, at the decisive stage to complete the building of a moderately prosperous society. To successfully fight pollution, it is imperative to gather data on the amount and industrial and geographical distribution of the pollution sources, know about the generation, discharge and emission, and disposal of the main pollutants, and accordingly formulate economic, social, and environmental policies, programs, and plans. The second census, building on the outputs of the first one, focuses on the main pollutants and other sensitive pollutants that undermine the ecological and environmental quality. It helps improve the archives of the major pollution sources, establish pollution source information database and environmental statistical platform, gather emission data that honestly reflect the environmental situations of the whole nation and different regions and water basins, and ultimately generate an e-map of pollution sources that can be updated at any time, and introduce a scientific pollutant emission verification methodology. Initiated in 2016, the ongoing census has made positive progress and almost completed the preparatory work, formulated the inventory, and conducted pilot census, laying the foundation for the upcoming door-to-door interview, which is at the core of the census. To do a good job in the door-to-door interviews, it is important to make thorough preparations, by conducting analysis and estimations, strengthening resource support, and reasonably determining the number of census takers and supervisors, who can be recruited from the community-level government departments, environmental protection departments, universities and colleges, and other walks of life. The census will also be well-equipped. Moreover, the quality of the census data is essential. The census should be as inclusive as possible without redundancy of data. The census organizers at all levels should review the data, highlight their equity and transparency, and put them under the scrutiny of the third parties and the general public, so that the result of a region coinsides with its energy consumption and economic and social development levels. The census organizers, takers and target organizations will report the data honestly and refrain from falsifying or omitting any information, or delaying the reporting. The door-to-door interviews will be under scrutiny by the central government and the third parties. In the census, wide publicity is important as well, in order to gain support from the census targets and the public. Also important is the team building of the census takers and supervisors. And the local governments at all levels will strengthen the organization of the pollution source census.